We catch up with Thomas Kettner to see how he fared with the Tamron 150-600mm G2 lens on safari. Thomas Kettner is a professional lifestyle photographer who's originally from Germany, but was raised in South Africa. He recently embarked on a photo safari in Namibia to test the new 150-600mm G2 lens offering from Tamron. The main subject for the safari was cheetahs. 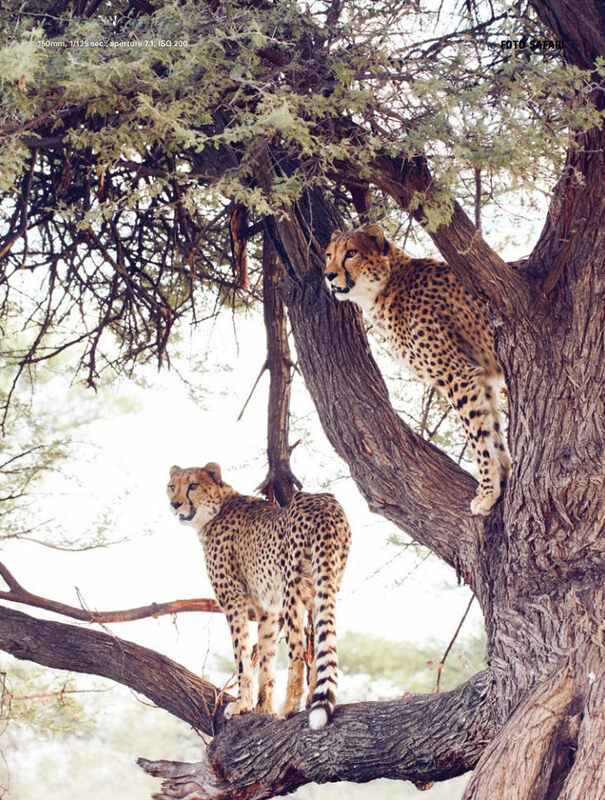 Thomas was hosted by the Research and Education Centre of the Cheetah Conservation Fund in Otjiwarongo, Namibia. With the Tamron 150-600mm lens at his, side, he was able to capture some fantastic images. "It's difficult to predict the direction in which the cheetah's going to run when it's chasing its prey", says Thomas, after a Cheetah narrowly misses catching an antelope. "Taking photos is the same a clay pidgeon shooting - you have to think ahead and let the cheetah run into the shot" he adds. Thomas loved the latest 150-600mm offering from Tamron for a variety of reasons, not least the new image stabiliser in the G2, which he called 'incredible'. "The option to define the planes - horizontal, vertical or both - gives unbelievable creative scope", he says. He was also awestruck by the impressive autofocus and sharpness that the lens is capable of. "In my view, the performance of the SP 150-600mm G2 competes with much more expensive lenses from other manufacturers", he concludes. Find out more about Thomas Kettner's Namibia adventures in this season's Tamron magazine.